Yesterday I shared about the first stop for our fall break getaway and today I'm sharing all about our experience at Great Wolf Lodge. Now usually we have not had plans for fall break, but then I felt like everyone I talked to was going to Disney World or going on a Disney Cruise. 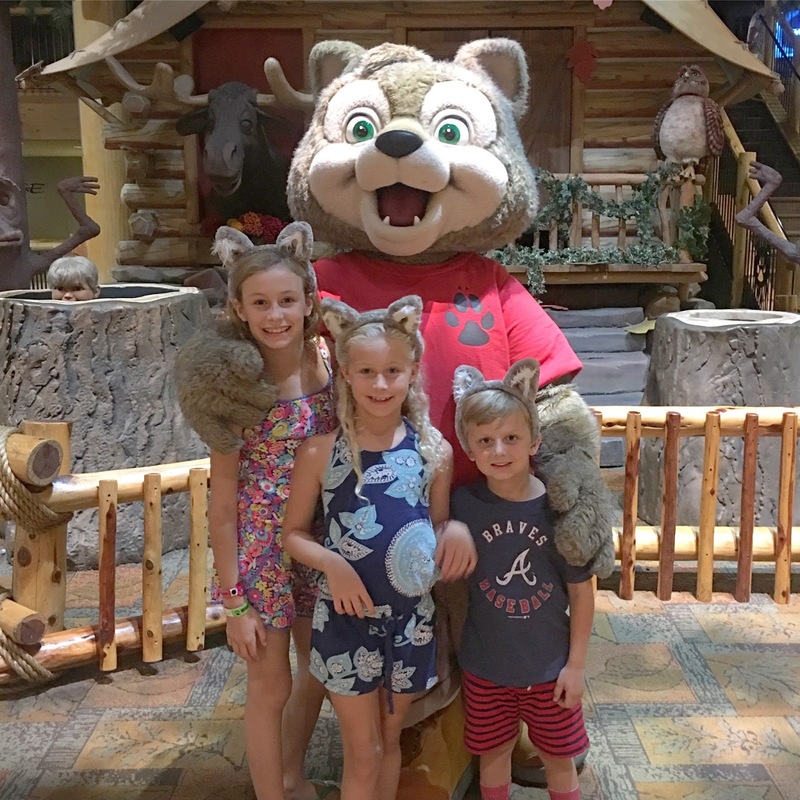 I wanted to plan something fun for the kids, even if it was a quick trip. You know the first day back after a break the kids always have to write about what they did and I wanted them to have something more to say than, "We had to go to the grocery store with my mom." 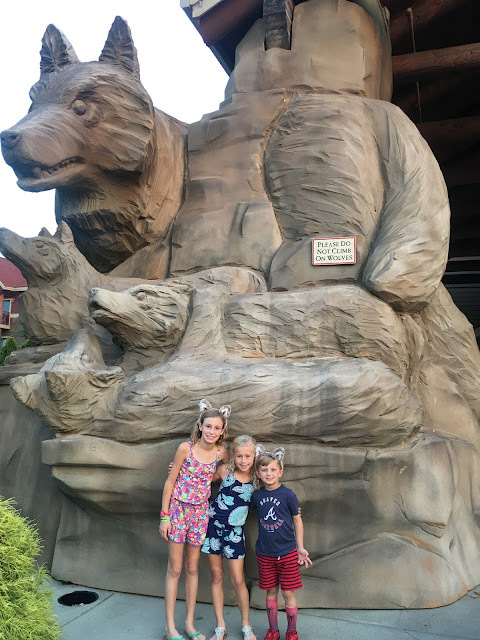 We had been wanting to try Great Wolf Lodge and this seemed like the perfect time to do it. 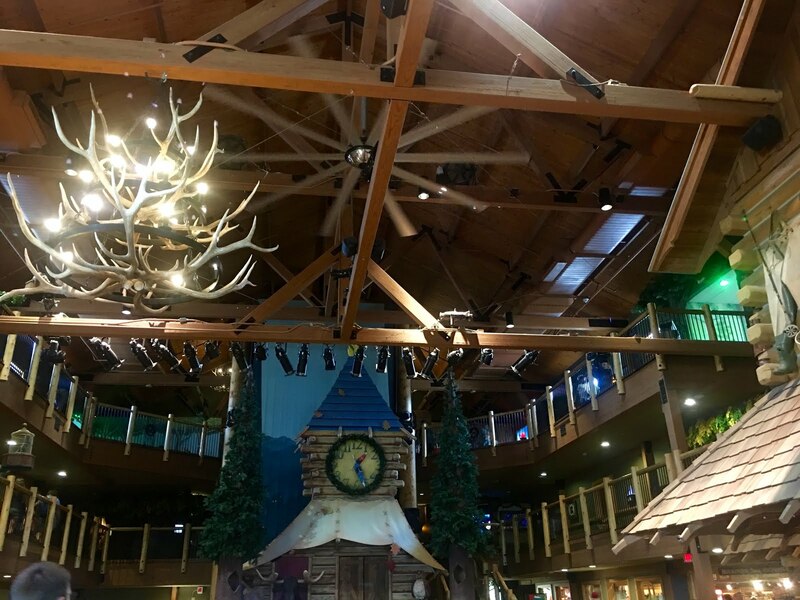 For anyone not familiar with Great Wolf Lodge it is an indoor waterpark that is connected to a hotel. You must be a guest at the hotel to be able to access the water park. 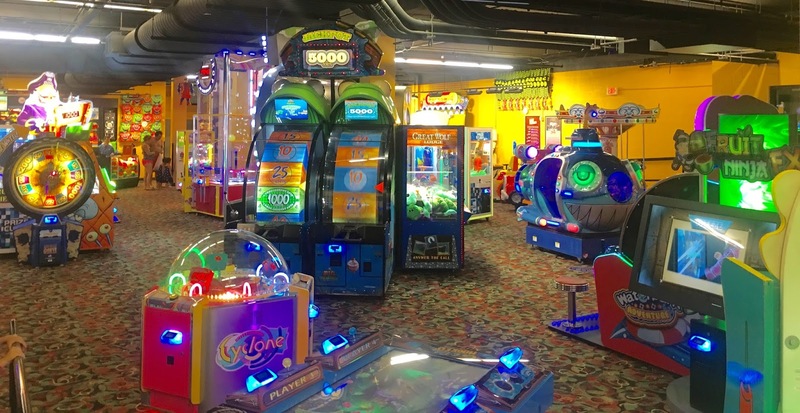 There are tons of other parts to the resort also and lots of things to do. 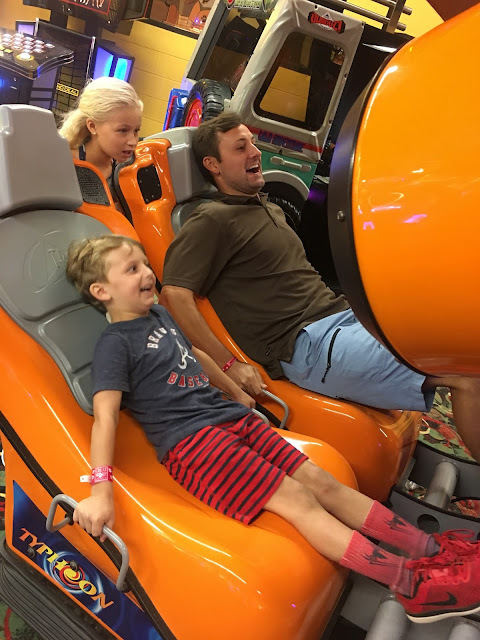 It is 100% geared towards kids and is definitely a trip for the kids. However, we all had fun and made a million amazing family memories. We only planned to stay one night, which gave us two days at the water park and that was plenty. 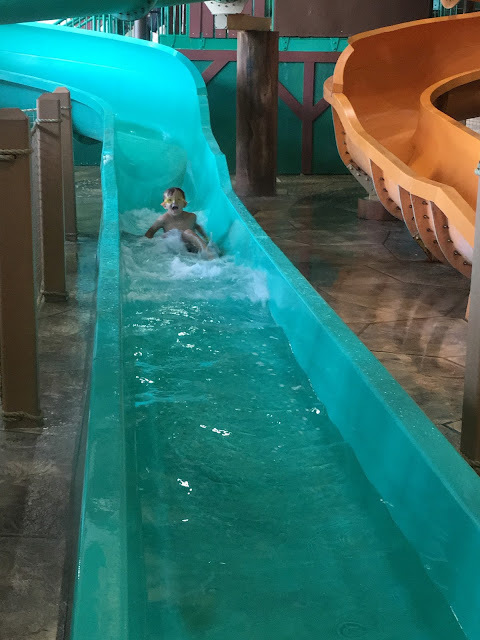 The day you check in you can start using the water park at 1:00 PM and check-in time for the room is 4 PM, so we had planned to just change and start having fun, but when we arrived at 1 PM our room was ready, which was even better! Upon arrival and seeing the giant sign the kids are SO excited. 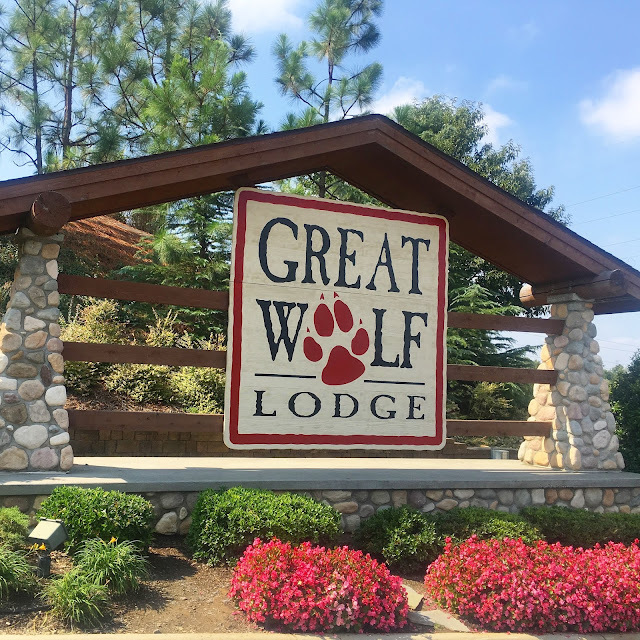 Everyone is given wolf ears when you check in and people wore them everywhere! Think mouse ears at Disney. The kids immediately put theirs on and even the Mr. was ready to get on the fun. 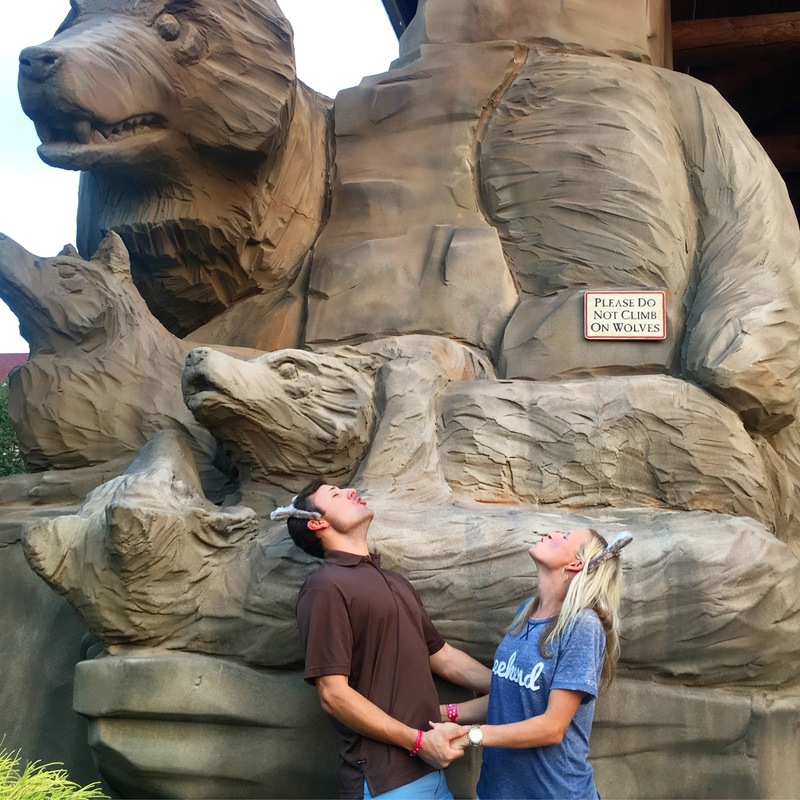 We figured while at Great Wolf Lodge we might as well join them so we put on our ears and let the howling fun times begin. The entire hotel is themed and it was really fun to just walk to our room and take it all in. We quickly got changed into our swimsuits and made our way to the water park. 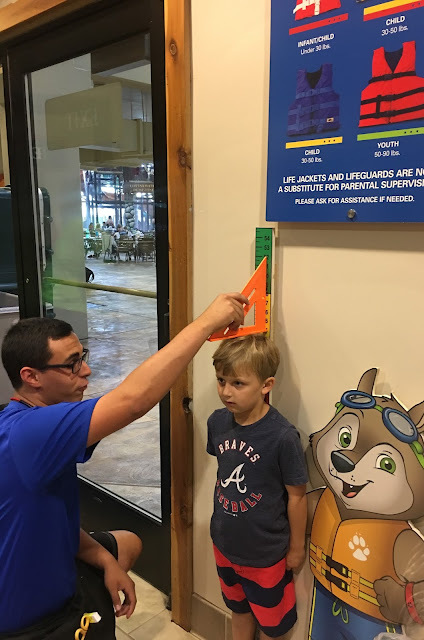 As you walk in the kids are all measured and given an additional arm band. These are color coded depending on height so they know which slides they can do. Boo-Boo was only restricted from doing 1 slide and could ride everything else. There was still plenty for him to ride and do though! We rented a locker on the first day ($20 charge, but you get $10 credited back when you turn in the locker key) because I wanted to have a place to put my phone. I could have left it in the room and not done a locker, but you know...bloggers need pics so I needed my phone! On the second day we left our phones in the room and felt comfortable putting our flip-flops and coverups on one of the tables unattended. I would not have left anything valuable though. Finally we were ready for the slides! There were so many different types and we tried them all. 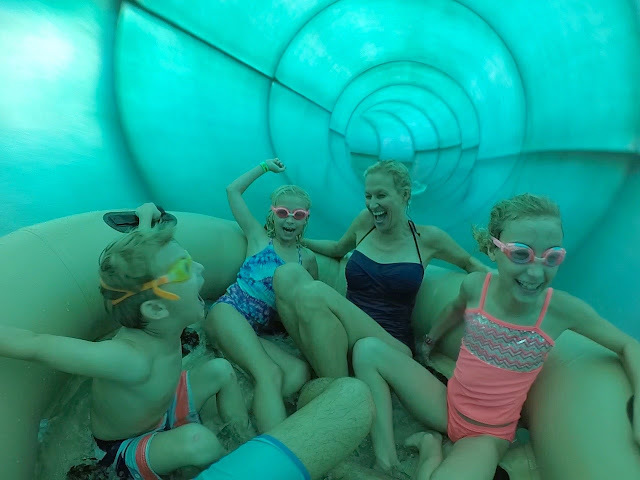 From single racing ones that you went down on mats to double tube ones and even giant raft ones that we could all go on together. The lines for these were not ever too bad, but I definitely noticed that there were longer waits the later the day got. Another thing to keep in mind are the stairs!!! A lot of climbing up stairs to get to the top of the waterslides so I felt like I got a good leg workout. After riding some of the bigger slides we went over to the giant treehouse area. There were tons of water hoses, squirting fountains and a few single slides in this area, too. And the big attraction here was the giant bucket that fills with water and then dumps out on everyone standing below. The kids loved it! 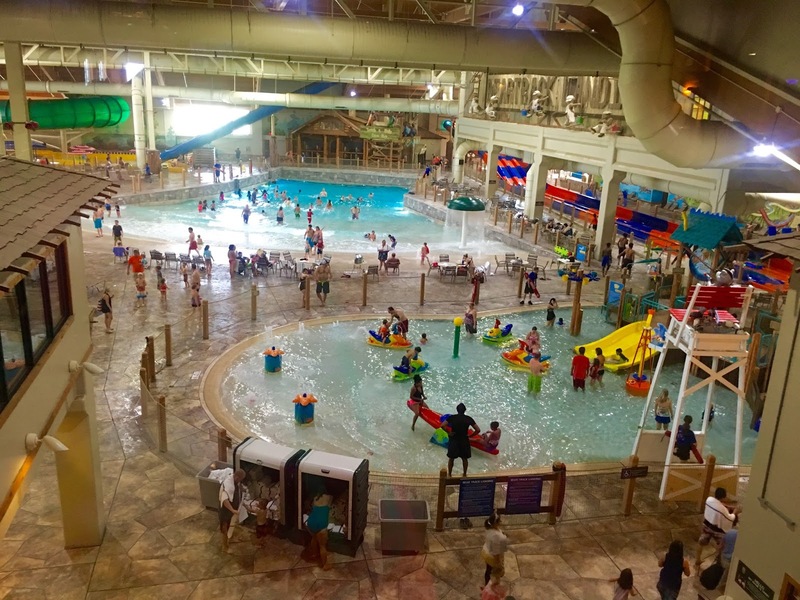 There is also a wave pool they played in and a small toddler area that we did not use. Next we tried the regular swimming pool area set up with basketball goals. Boo-Boo had so much fun at this spot and then the kids wanted to try the lilly pad jumping. I didn't try it, but it must be harder than it looks. They all got across though and wanted to do this over and over! There is an outdoor pool that is open seasonally so we spent some time out there for a while also before calling it a day in the water. There were several places we could have eaten on property, but we decide to get dressed and go out to eat somewhere else. Although while in the lodge you feel like you are really far away from the hustle and bustle of the city (because everything is so well done) but in reality we could have walked to a ton of other restaurants because we figured the wait would be a little less. On our way to dinner though we stopped for a few fun pics. We couldn't stop howling and if you can't tell, we like to make fun of ourselves and have a good time. We decided to walk down to the arcade area and let the kids play a few games before dinner. It was packed, but they had fun. After a few fun games they turned in their tickets for some treats (candy!) and then we were all ready to hit the hay. The next morning we had talked about possibly getting breakfast from the onsite Dunkin Donuts, but the line was long so the Mr. snuck out to pick up McDonald's biscuits for us instead. Checkout time was 11 AM, but on the day you check out you have access to the waterpark all day so we put on swimsuits, packed a change of clothes and our toiletries in one suitcase and put everything in the car before going to the water park. 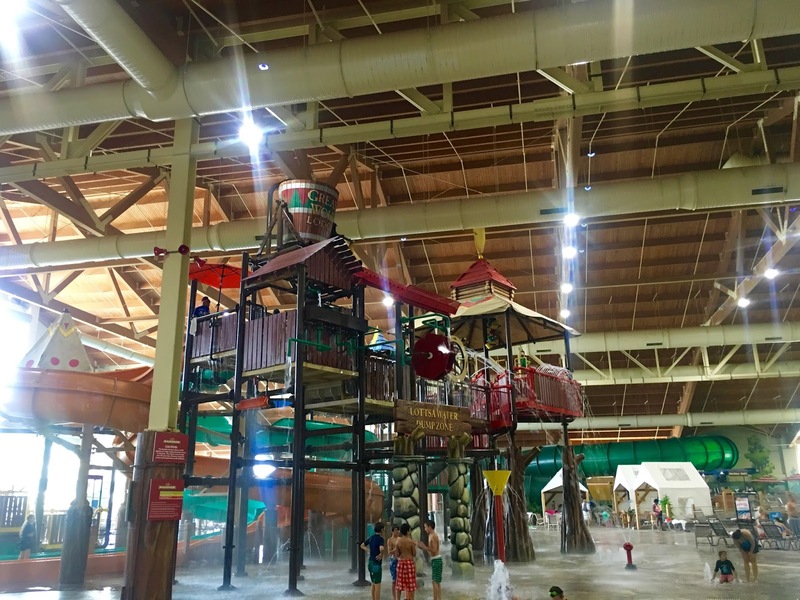 We spend the next 2 1/2 hours doing the water slides and swimming before it was time for us to head home. We wanted to beat Atlanta traffic and leave around lunchtime. The Mr. went to the car to get our bag and then we used the large showers/locker rooms to rinse off and put on dry clothes. I was kind of dreading this, but it actually worked out fine. We let the kids each pick out a souvenir as a reminder of our fun and then we were on our way home! It was such a fun night and really it felt like we were there longer than a night. It was a great getaway and perfect for family fun. 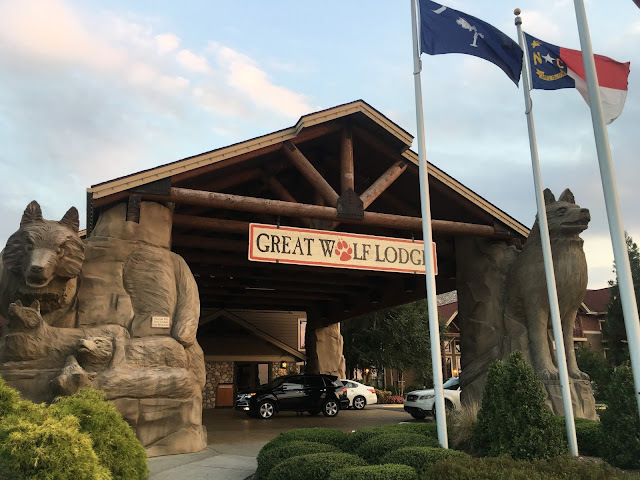 They are building a location in Georgia that will be much closer to us so I could see going to that location when it is open in a few years! If we had stayed more than one night I think we would have taken advantage of some of the other things they had to offer. 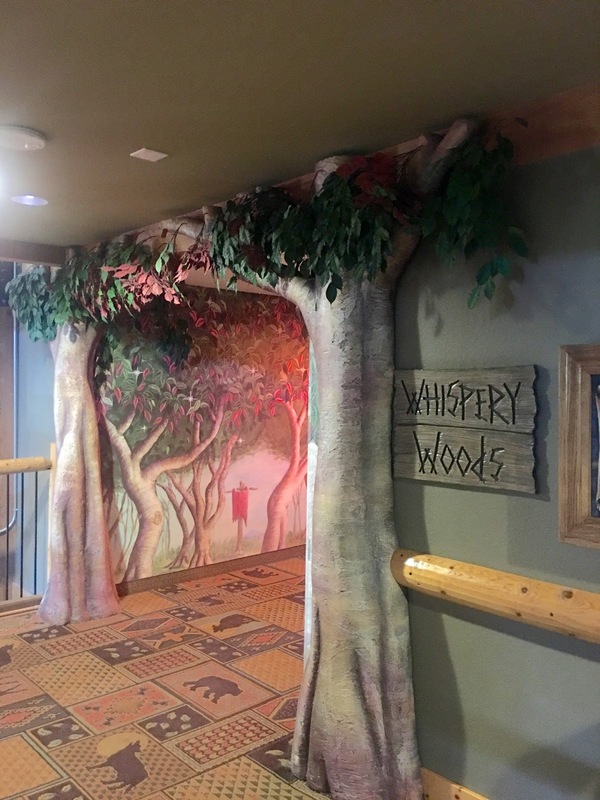 There was a kids spa, a ropes course, putt-putt, a kids club, a cool scavenger hunt that lead you through the hotel, etc. All of these activities were available at an additional and not included with your stay. There were a lot of activities that were complementary though. I mentioned story time above and there were things going on all day long that we did not take advantage of...everything from face painting to kid yoga. If we had stayed longer than one night I think we would have done some of the other activities, but we were there for the water fun so we stuck to that for this trip. 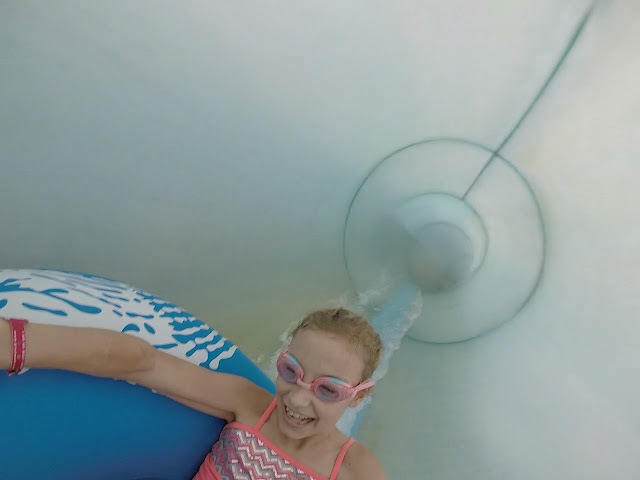 Each person is given a wristband that is your access to the waterpark. It has some sort of chip in it because it is also your access to your room instead of having a room key. I though that was pretty neat and the kids loved it! We opted for a standard (also know as cheaper) room that had two queen beds and a pullout bed. 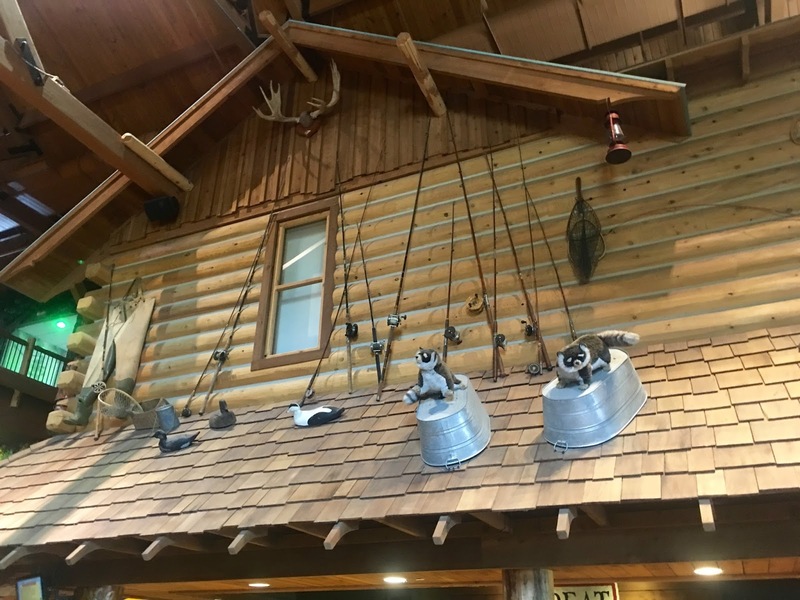 Now, some of the rooms at the lodge have bunkbeds, themed camp out spaces for the kids to sleep, but they are also more expensive so we decided to go for the standard room because we knew they wouldn't know any different. Our kids love hotels (even something as simple as Best Western) so they were thrilled to be here. There are still a few more days to enter our giveaway for your choice of an outfit from our favorite local boutique, Findlay Rowe! Click HERE to enter!